Basic search engine optimization (SEO) tactics, like using strategic keywords and including important metadata on each page, are still important. But it’s ultimately the way users behave when visiting a website that will determine its visibility on search engine results pages. Here’s a closer look at how user behavior actually impacts search rankings. According to an SEMrush Rankings Factor Study, bounce rate and time spent on a site are among the user-behavior metrics that correlate most with a site’s position on search engine results pages. 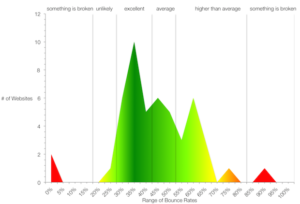 Bounce rate refers to the percentage of visitors coming to your site and taking no action. The lower this figure is, the better. But what inspires people to actually stick around and not quickly leave a website? With most websites, the purpose is to convince visitors to take the desired action, not just stick around and check things out. This is why you’ll want to go beyond bounce rates and look at your conversion rate. Behavior of this nature depends on such things as how well your landing pages line up with the reason people are coming to your site. For example, a contact page is usually where visitors come when they’re ready to take immediate action. But visitors coming to a product or services page may need some additional info to influence their behavior. If your site is generating a steady stream of conversions, then search engines consider it as a sign that your website is doing what it was intended to do. Search rankings are also affected by the kind of brand engagement that’s taking place outside of your website. Search engines look at the actions that are taken outside of your site and offline to direct traffic back to it. This is why social media interactions, visits to blogs, links, clicks on paid ads and how you direct people offline back to your website can help determine how well your site ranks. 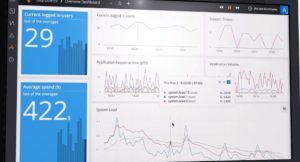 The only way to really know if users are interacting as intended with your website is to deploy an analytics platform. What’s good about such platforms is the convenient access to all of the stats you’ll need to keep an eye on. Some platforms allow you to compare results from previous periods, while others can be filtered to show you customized reports. What SEO does is help get your website in front of the right searchers. But what really influences search behavior is the content that’s on your various web pages and the content you present elsewhere online that links back to those pages. With content in particular, freshness, relevance to your intended audience, and quality are what matters most today. As long as you keep the user experience in mind and pay attention to the right stats, you should be good to go. 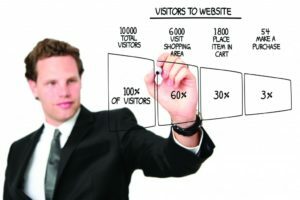 Is your website ranking? If you’re struggling to optimize your digital marketing campaign for optimal conversions, then it may be time that you hand it over to the experts. At InnoVision, we’re confident that we can help you start ranking. SEO - Is Link Building Dead?